A Boaters Paradise like no other! 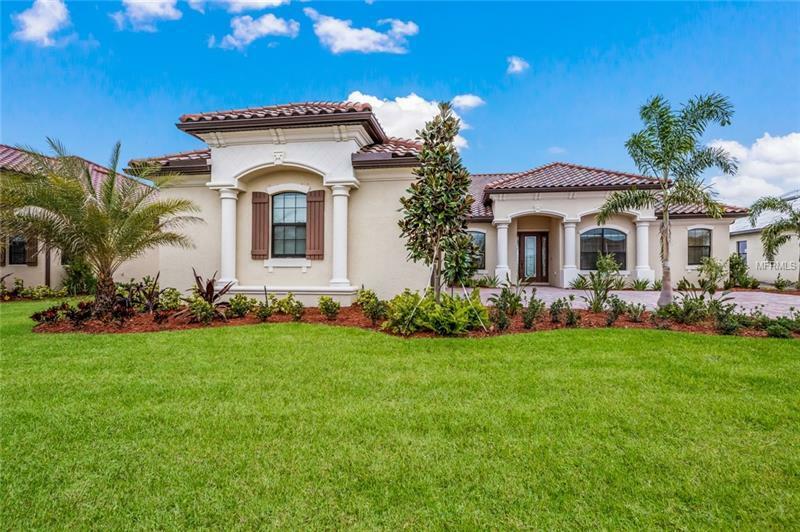 This is THE only opportunity to have new construction with you own dock and lift located in a gated Golf and Country Club setting. Built by America's #1 builder, Lennar Homes, and designed and equipped with top-of-the-line appointments from top to bottom. Residents of this beautiful County Club enjoy secure gated entry to their waterfront paradise where every day will feel like a vacation. 27 holes of Championship golf, resort-style pool, state-of-the-art fitness center, tennis, and a beautiful clubhouse await you. This special home is situated cozily within nature, right up against the beautiful Manatee River, and comes complete with a dock & boat lift - an absolute rarity for new homes in the area! When you walk in the bright & open living space, with a gorgeous and fully-equipped chef's kitchen, the quality of Lennar-built homes is apparent. The clean & modern esthetic is replete with fine details and finishes throughout. Put your feet in the water from your own dock and enjoy the sweet sounds of the nature that surrounds you, before retreating inside to one of the four bedrooms including a luxurious master suite, or grab your fishing pole and take a boatride down the river, where you'll see herons, cranes, and perhaps alligators! This neighborhood is truly the perfect Florida vacation home. Lakewood Ranch makes vacation a lifestyle, not a temporary state, so don't miss the opportunity to turn your life into a full-time holiday!